In the quiet residential area of North Ridge, a four-acre piece of land is being developed into a 200-unit apartment complex. The development in Accra, Ghana, is part of a trend of new real estate projects springing out from previously abandoned parks. “This is a very competitive market, there are not many people with a lot of disposable income, so the market for potential buyers is very small with everybody going after the same pot,” says Godwin Ofori, real estate agent at BCD Properties. Skyrocketing prices for properties is making people desperate to find bargains, says Ofori. Kelvin Nyame, the Co-Founder of meQasa.com, is hoping to ease their anguish. 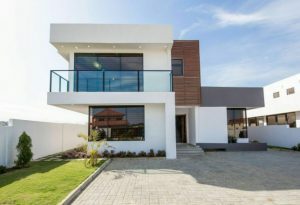 meQasa.com is an online property listings site connecting buyers to more than 23,000 commercial and residential properties across Ghana. “There are about 27 million people in Ghana and we look at how many people have the budget to rent the types of houses that are available for rent, or office spaces, then you look at people who have disposable income. We feel that the market is very small, so either you are number one or you are out of the game and to be number one you need to have three times the content that your competitors have,” says Nyame. Nyame believes content is king. Luxury home in Accra, See more! “In the listings, we are the highest right now, and traffic wise we have closed the gap with our competitors. We are doing about 40,000 serious seekers with over 290,000 page views per month. More than half of the 40,000 are converting and what that means is that they are sending emails to our agents and calling our agents to enquire about our properties and we hope to grow this number by up to 50,000 to 60,000 by December,” he says. Nyame came up with the idea, along with Rashad Seini and Kofi Amuasi, at the Meltwater Entrepreneurial School of Technology (MEST). Nyame and his team had to adopt a lean strategy from the start. There is, however, a light at the end of the tunnel. At the end of 2015, meQasa secured a much-needed investment of $500,000 from Frontier Digital Ventures, a global venture capital firm headquartered in Kuala Lumpur, Malaysia. Nyame is using that cash injection to streamline the business. 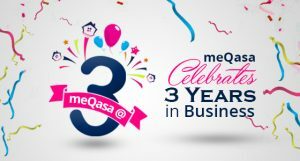 In just three years, meQasa gained a significant percentage of the property listings business, according to Nyame. 3 years of impacting REAL ESTATE in Ghana! The company plans to expand to other African countries and Nyame hopes they’ll soon be the top player in the continent’s property game.